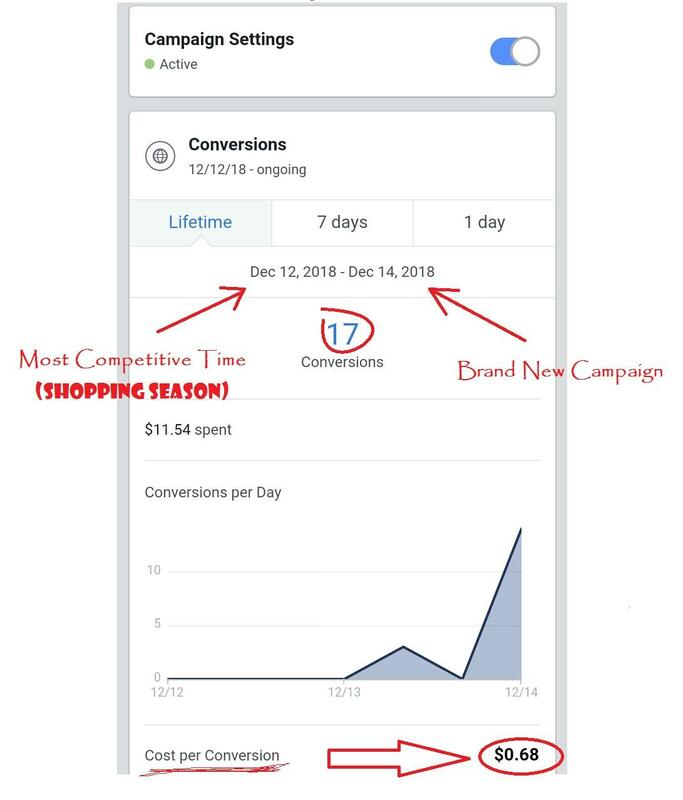 "Here's the Fastest and Easiest Way to Find and Target a Brand New, Highly-Responsive Audience on Facebook... Guaranteed"
IF YOU HAVE EVER STRUGGLED TO MAKE YOUR FACEBOOK AD CAMPAIGN PROFITABLE, THEN THIS WILL DEFINITELY BE THE RIGHT ANSWER FOR YOU!! "YOU ARE TARGETING THE SAME AUDIENCE THAT 90% OF MARKETERS (in your industry) ARE TARGETING!" "Your Ultimate Blueprint To Find Super HIGHLY Targeting & Profitable Interests For Your Next Successful Facebook Advertising Campaign!" You have a specific problem, I will provide a simple yet powerful, not have seen before, 100% proved to work solution! If you know Mr.Profit, you know he doesn't hesitate to expose ANYTHING.. Even the most confidential underground secrets! "You can apply 30 MTC to Amazon, Clickbank, Shopify, building your own email list, selling your own/affiliate products... you can use this to get more leads/sales from any audiences, and for any products or services." "You are fully covered by MrProfit's solid 30 day money back guarantee... No Question Asked"
Now, You Don't Have Any Excuses To Make Your Next FB Ads HUGE SUCCESS! "Making PROFIT with Facebook Ads is so EASY. you just need to FOLLOW the right steps!" I Purchased a copy, spent a few hours to read it thoroughly. I Like it a lot, Mr. Profit present the material in a simple way, and everything direct to the point. I don't need to spend extra effort to filter out the fluff. I am not a complete newbie for facebook marketing, but I learned quite a few things from this WSO. And the method is not just applied to facebook marketing, the principle seems to be general and transferable. It is quite rare I can apply what I have learned from the WSO immediately. But this one you can. I was reading it in the morning and applied the method in the afternoon! I just received a review copy and read it thoroughly. It is a simple 32 page pdf that has some brilliant GIS strategies for facebook marketers. It has many screenshots for the customers to help them understand how to find highly targeted interests in order to run profitable campaigns. Mr. Profit has worked very hard to make the guide user friendly and he has illustrated every research step in easy to understand chunks. From my 20 years marketing experience I can confidently say, this small and sweet guide is a must read for every facebook marketer who wants to boost his profits by targeting highly interested prospects. I wish you great success with your business! Was an interesting read. Some of the stuff I knew already, but learnt an extra trick or two. Worth the money no doubt. I wish you great success with your ads! Plus, I am working right now to improve the guide. So, if you have any feedback/suggestion, don't hesistate to PM me. Suggestion: Raise the price, have an upsell with done for you campaigns, then offer another upsell coaching. I am interested in FB Leads/advertising and saw your 30 MTC offer. Please let me know the total costs of your program other than the $7.00 fee. Are there any OTOs on ongoing monthly charges/expenses? There is no oto. The total cost of the guide is 7 bucks only. However, I may improve the product in the future and increase the price. Anyone who previously purchased the product will get all the updates for free. Is 30 MINUTE TARGETING CURE sustainable for the long run or it is just a short lived shortcut? Yes, it is sustainable for the long run. It is not a simple trick or loophole, but it is a group of effective strategies that have proved to work again and again. Many of these strategies are brand new (MrProfit's signature) and have not been taught before by any FB marketers. I received a review copy of this ebook and must say it's a great way to find your target audience and it's not just one way to find them there are multiple ways to scour for your prospects using simple ways that anyone can implement. It's so simple and while doing the stuff one will also come across different resources to use and that's where things get interesting. The sad thing is that with the amount of targeting options fb ads gives you makes me want to say that this will work the best with fb ads. It was created keeping fb ads in mind. I love the simplicity of this guide with all the screenshots included. This is not a method to make $50 or $100 a day but ways that one can implement in his ads campaign to increase their ROI. After getting this I believe one should not have any issues surrounding targeting angles in future. I also received a review copy of this WSO, and I agree with the previous reviewer's assessment. In the right hands, the information in this report is potentially very, very valuable. Obviously, if you're not advertising on Facebook, and have no interest in doing so, this report is not for you. But if you are advertising on Facebook, or planning to start some time soon, the information in this report might save you hundreds or (more likely) thousands of dollars -- but only if you apply it. I'm just getting started with Facebook advertising, and I am very grateful that this info entered my life when it did. Fortunately, I had already learned enough about Facebook marketing from two courses I purchased earlier in the year that I was able to immediately recognize the value in this report. I'll always do my best to deliver the highest value and brand new techniques to the fellow warriors. First of all I would like to inform you I have got a review copy of this WSO. I had the pleasure and good fortune to go through this and I was very impressed! The things I learned pleased me so much that I am feeling excited at leaving a review here. Many WSO's are rehashed or regurgitated stuff. However this WSO report was like a breath of fresh air. The information presented is unique and original. I have not come across these strategies before. From reading the short report, it becomes clear that the author seems to have good enough experience and knowledge of the subject and knows what he is talking about. It is not sufficient for material to be 100% unique. It also has to be useful for people. The information here is absolutely 'Gold' for Facebook marketers. If you are worried of growing competition on Facebook and increasing bid amounts, then you would truly enjoy the strategies mentioned here to find lot of cheaper targeting opportunities which can yield substantially higher ROI's than you are currently getting on your ad spend. All it takes is a bit of smart work and some amount of time spent in researching before you head off to create your campaigns. The strategies discussed here are not just excellent and useful, they are quite easy to understand and implement and do not require any special tools, software or specalized skills. Even beginner FB marketers can easily try out these strategies. Even if any strateg is brilliant, what is the use if it is too complicated for people to learn and implement? Thankfully, that is not the case with the strategies discussed here. The PDF report contains easy to follow step-by-step instructions which make it easy even for novice marketers to implement the strategies with ease. I personally don't like to go through lengthy courses which contain many modules and/or long videos. It is difficult to take the time out to go through such courses. I like easily digestible information presented in smaller portions so that I can quickly and easily go through and be ready to start implementing. Here again this WSO scores nicely. It contains a short PDF report containing around 30-40 odd pages which you can finish within half an hour! Overall I give my high recommendation and ratings to this as the information here is solid, very valuable and presented in easily understandable format. If you want cheaper FB clicks and higher ROI then you should definitely check this one out! Thanks very much Anwar for well detailed review! I'm really glad you liked the ebook and hope you benefit from it.